Hot Gamer? Asus releases the optically and technically slightly refreshed successor to its G71GX, the G72GX, to the market. Asus (still) waivers on Intel's new Core i7 architecture and uses, as afore, the "old" Core 2. We grabbed the top model, the G72GX-TY014V, straightaway and checked if the Core 2 Quad Q9000 and the GeForce GTX 260M are still fit for the upper-league. 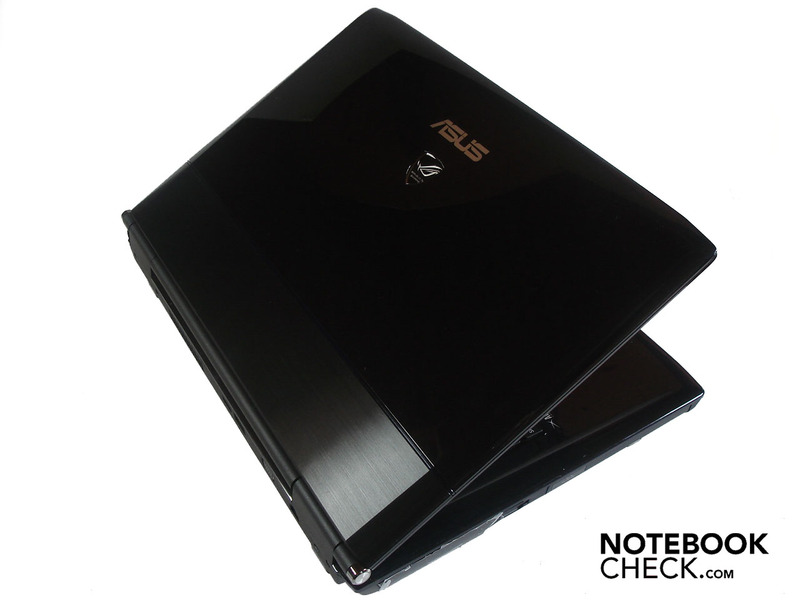 The ASUS G72Gx-X1 feels more like a repackaged G71G than a dramatically improved desktop replacement. They have built a new case to house the larger 17.3-inch display and upgraded the processor and graphics for more performance. The problem is that it is still built around the older Core 2 and DDR2 memory. This puts it at a slight disadvantage in general applications compared to the new Core i7 systems in the same price. The one advantage it does provide is a faster graphics processor making it better suited for PC gaming on the go.